Last year Ohio State’s streamlined Buckeye Bullet supercar made headlines as it shattered the world speed record for an electric vehicle by clocking in a blistering 291 miles per hour. The team is back this year with plans for their next-generation racer, which they expect will be able to hit speeds in excess of 400 mph. 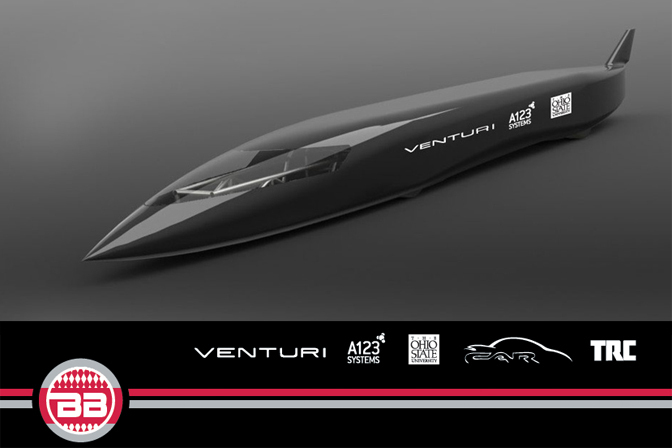 The Buckeye Bullet 3 is being built from the ground up on an entirely new platform that includes an optimized aerodynamic shape, two custom-made electric motors by Venturi, and a set of prismatic A123 batteries. In order to improve upon the performance of the Buckeye Bullet 2.5, the team is harnessing the Ohio Supercomputer Center to develop their next-gen land speed racer. Through a series of aerodynamic simulations they have come up with a completely new platform for the Buckeye Bullet 3 that will reduce drag by 5%, place the driver in front of the tires to conserve volume, and improve the vehicle’s overall handling and balance. Design work on the project is expected to be completed by the end of this summer, and the vehicle will be constructed over the course of the coming academic year.